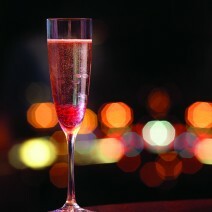 Treat your loved one to a world-class Valentine’s evening fit for a king and queen. Our Chef’s have lovingly crafted a three-course meal meant to entice your senses, as you sit on the banks of the San Antonio River. This romantic package includes a glass of wine for each, you and your beloved, to toast to an ever-lasting passion for excitement.